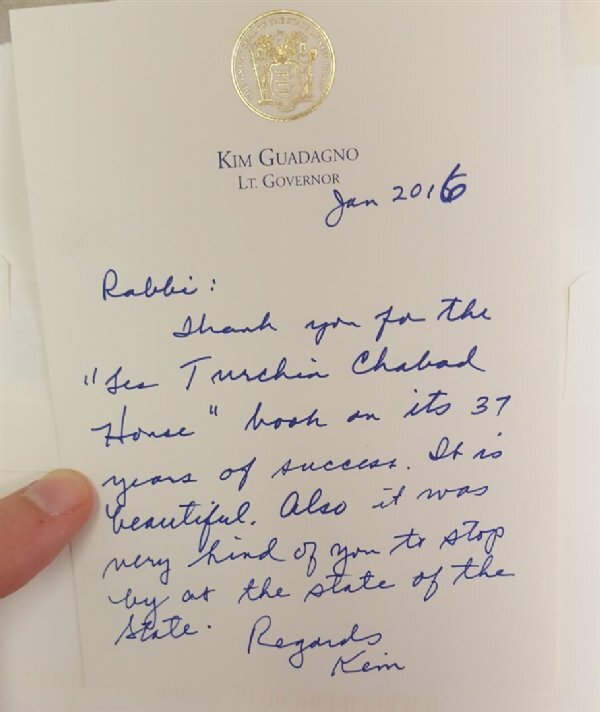 NJ Chabad Rabbis Invited to Governor's State Address New Jersey Governor Chris Christie personally invited Rabbi Yosef Carlebach and Rabbi Mendy Carlebach to the StateHouse in Trenton for his 2016 State of the State Address. In addition to being present in the Assembly Chamber for the Address, the Rabbis were also invited to a pre-address conference with Lt. Gov. 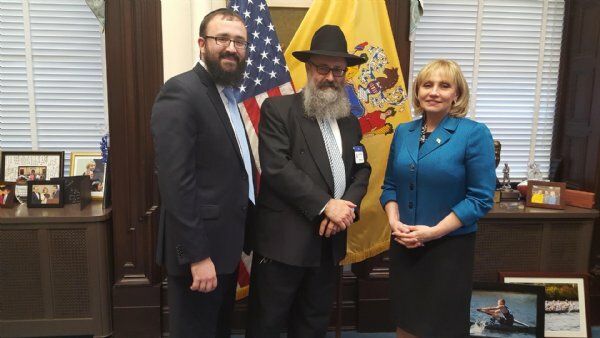 Kim Guadagno, where they discussed a number of items relating to the New Jersey Jewish community. The invited Rabbis presented Lt. Governor Kim Guadagno with the 37th Anniversary Pictorial Album of Chabad House at Rutgers University. The Lt. Gov. expressed her admiration and amazement at the panoply of activities, outreach sessions, and educational programs that Chabad regularly sponsors on campus and throughout communities in central and south New Jersey. The Rabbis also met and conversed with former Governors Jim Florio, Jim McGreevey, and Donald DiFransesco, and with many notables invited to this event. Pictured are Rabbi Yosef Carlebach and Rabbi Mendy Carlebach presenting Lt. 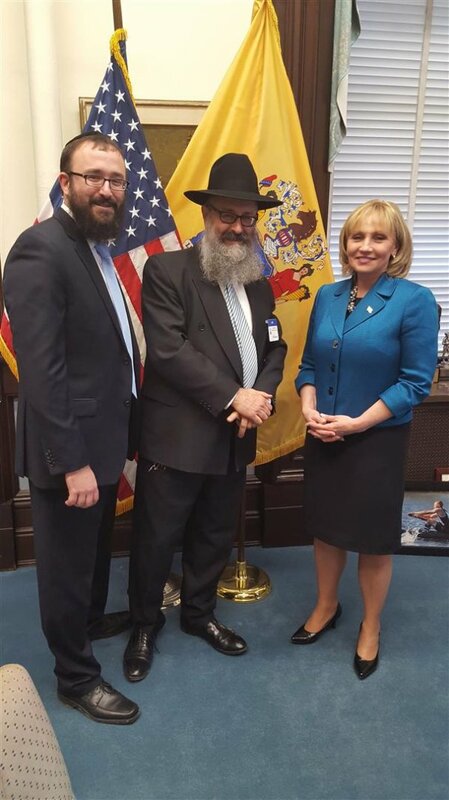 Governor Kim Guadagno with the 37th Anniversary Album of Chabad House at Rutgers University.